Omro Thursday Night Market is located on the beautiful island of Scott Park near the heart of downtown Omro. We encourage you not only to stop by the market to shop a variety of local artisans' and farmers' wares, but to enjoy visiting, shopping, and dining among the many downtown business along the shores of the Fox River. Omro is bringing back that sense of community and family togetherness with the Thursday Night Market! Stop in, visit with your friends and neighbors. You never know what you might find. Market participation is open to Omro area farmers, gardeners, crafters, artists, and vendors. Please see the Market Rules and Regulations for annual and weekly fee amounts. Each vendor is entitled to a 10' x 10' area for the display and sales of their product. Limited electrical booth/spots are available on a first come first served basis for the season. So sign up early to secure your favorite location. Set-up is from 3-4 pm each week. Please read through the following rules and regulations for participating in the Omro Thursday Night Market. If you are operating a food stand, you must also have a permit from the Winnebago County Public Health Department. See application information and form below. Please note that effective July 1, 2012, if you are doing a food stand, you must have a permit from Winnebago County. Non-profit groups that operate temporary food stands within the Winnebago County Health Department's jurisdiction can obtain a permit depending on the number of events per license year (July 1st - June 30th). Any additional events that are operated within WCHD's jurisdiction require licensure. Please call WCHD at 920.232.3000 if you have questions about operating Non-Profit temporary food stands. Contact Winnebago County Health Department if you have any questions on the permit or the permit process regarding non-profit food stand permits. Please visit https://www.co.winnebago.wi.us/health/units/environmental-health/food-safety-recreational-licensing/special/temporary-events to find more information and link for the current temporary food permit. We all enjoy taking our four-legged friends on walks in Scott Park, which is allowed per City Ordinance (12.24.010-B.13). However, there are areas of the Market which offer produce and food, like a restaurant or grocery store, these areas are covered by the Wisconsin Food Code (6-501.115). For these sanitary and health reasons, we ask visitors with pets to stay within 5 feet of these areas. As always, guide dogs and dogs that provide services are welcome with their human handlers. Stroll the Omro Thursday Night Market then head over to the pavilion to enjoy live music, while you are there grab a bite to eat and a cool drink. 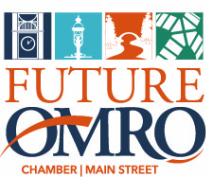 These events are free to the community thanks to Future Omro. This concert is supported in part by a grant from Mildred E. Turner Art and Music Fund at the Oshkosh Area Community Foundation. Complete the form below to ensure your business or organizations spot today! The State of Wisconsin under section 73.03(38) requires all sellers to complete the Wisconsin Temporary Seller information form and the City of Omro is required to have this on file. Please complete and return the form below to Future Omro, Lynn Kromm at 130 W. Larabee Street, Omro, WI 54963.